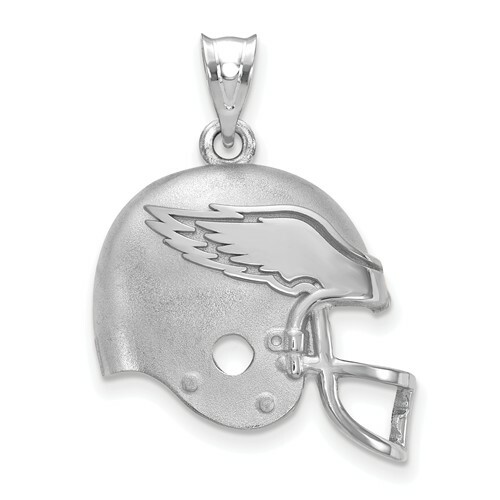 Philadelphia Eagles football helmet pendant is made of polished sterling silver. Item height: 5/8in, width: 5/8in. Officially licensed NFL jewelry. Weight: 4.7 grams. Made in the USA. Fits up to a 4mm chain.